Dance has been a passion of mine since my teenage times. Growing up in Portugal I would sneak out of my parents home to go dance the night away in the nightclubs of Lisbon. It was in 1995 when I moved to London to work as a jewellery designer that I discovered Gabrielle Roth’s shamanic maps to ecstasy – the 5Rhythms™️ Dance. It was in fact having ready access to the dance that kept me in London for 9 years, attending practically every 5Rhythms™️ class and workshop I could find. Having immersed myself into the dance I reached the point where I felt that I wanted to share these maps to ecstasy as a 5Rhythms™️ teacher. I completed the intensive teacher training under the guidance of Gabrielle Roth and her group of core teachers in 2004 and started teaching in Portugal. Relocating to Australia in 2006 I brought 5Rhythms™️ dance to the Northern Rivers and Brisbane. Besides being a great form exercise and feeling good the dance is a movement meditation, clearing the mind, waking up the heart and shifting feelings and energies. The healing happens while you are having fun and you don’t need to think about it. After 21 years of living and practicing 5Rhythms® dance, I have grown to appreciate the importance of slowing down. I invite you to join me for a private session or a group class where together we submerge into this moving meditation. 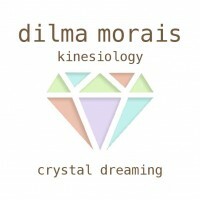 “I had the most fulfilling private movement session with Dilma. I’ve been dancing for over 6 years now attending lots of weekly classes and workshops all over Australia. To all that is there within, that desires to come forth in the most loving safe yet simple expressive way to dive deep into yourself. WATER – ARE YOU GETTING ENOUGH?